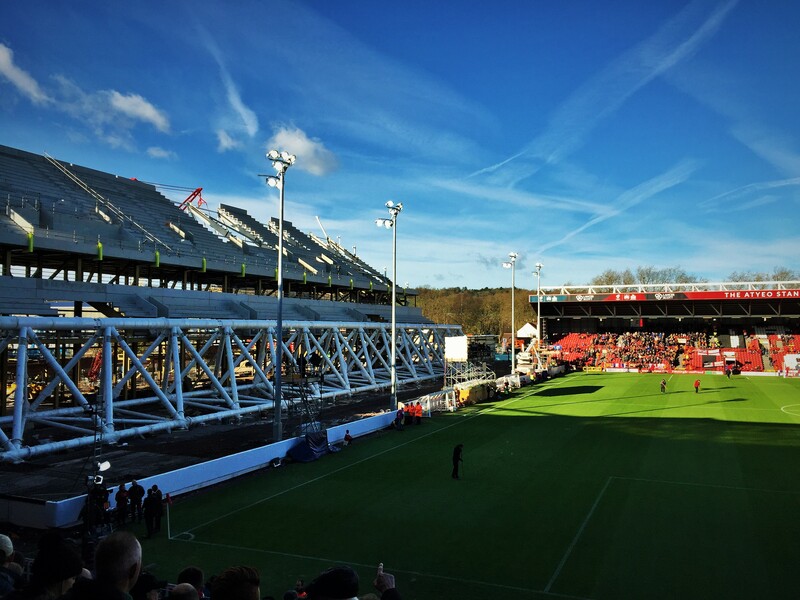 The new grandstand at Ashton Gate is taking shape – it is MASSIVE! Just like this team! Note the TV crew down in the bottom left corner having pre-match chatter.